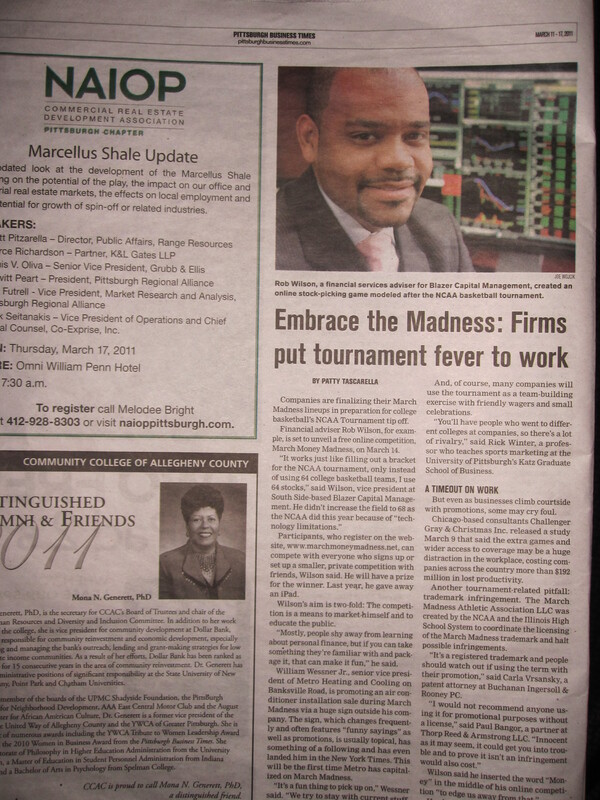 March Money Madness in the Pittsburgh Business Times! Check out this great article from the PBT on how firms are putting March Madness to work for them. They included a lot of info on my March Money Madness Bracket Challenge…and a great picture if I do say so myself! Sign up for the Bracket Challenge TODAY! The entry fee is only $5 and the winner will walk away with 50% of the total entry fees! Companies are finalizing their March Madness lineups in preparation for college basketball’s NCAA Tournament tip off. Financial adviser Rob Wilson, for example, is set to unveil an online competition, March Money Madness, on March 12.